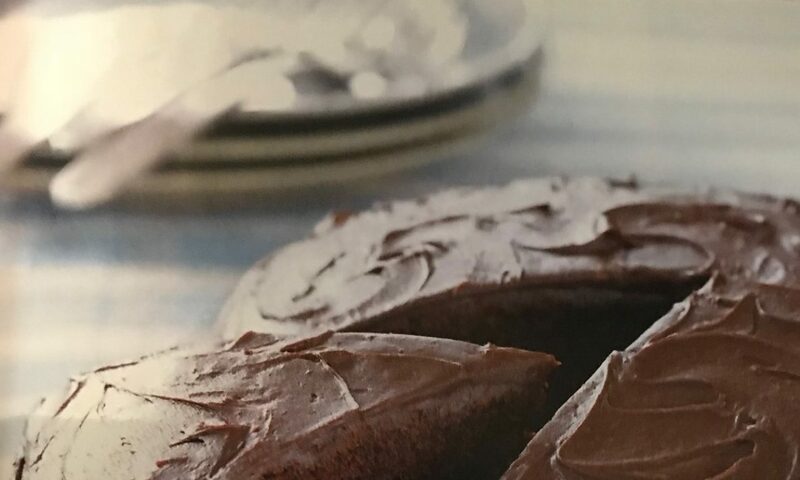 Recipe courtesy of Psychologies Magazine (April 2019) and taken from Recipes for Your Perfectly Imperfect Life by Kimberly Snyder . Coconut oil increases metabolism and provides sustained energy. Here, flakes accentuate earthy coconuttiness. Step One : Preheat the oven to 160oc / 325oF / Gas mark 3. Line a baking sheet with parchment paper and set aside. Step Two : In a large bowl, whisk together the Gluten-Free flour mix, baking soda, guar gam, coconut sugar and sea salt. Make a well in the middle. Step Three : In a separate bowl, combine the melted coconut oil, coconut nectar, vanilla extract and almond milk, and stir well. Pour the liquid into the well in the flour mixture. Stir in the coconut flakes. Step Four : Shape about 1 tablespoon of the mixture into a ball and place it on the parchment-lined baking sheet. Gently flatten it with the palm of your hand so it pushes outward into a flat cookie shape. Continue until all the dough is formed into cookies, being sure to space them out. Step Five : Bake the cookies for 13-14 minutes, until they are golden brown. Transfer them from the baking sheet to a wire rack and allow to cool for at least 15 minutes before serving. Festive snowflake cutters are used for these cookies, but the same idea works just as well for almost any shape. They look beautiful hanging at a window, allowing the light to shine through the ‘stained glass’. Or you could give one cookie to each guest as a place setting or table gift for the Christmas dinner table. Step One : You will need a selection of snowflake cookie cutters. Cream the softened butter and icing sugar together until pale and light. Add the whole egg and vanilla extract and mix again until thoroughly combined. Sift the flour with the sale, add to the bowl and mixed again until smooth. Step Two : Gather the dough into a ball, flatten into a disc and wrap in clingfilm. Chill for a couple of hours, or until firm. Meanwhile divide the boiled sweets into separate colours, place in freezer bags and crush using a rolling pin. Step Three : Heat the oven to 180oC (Gas Mark 4) and line two solid baking sheets with non-stick baking parchment. Step Four : Lightly dust a work surface with flour and roll out the dough until it is roughly 3mm ( 1/8 in) thick. Using the snowflake cutters, stamp out snowflakes in assorted sizes and arrange on the prepared baking sheets. Carefully and neatly fill the holes in the snowflakes with the crushed boiled sweets. Step Five : Bake in batches on the middle shelf of the preheated oven for about 12 minutes, until the cookies are pale golden and the boiled sweets have melted and filled the holes. Step Six : Cool the cookies on the trays until hardened, and package into boxes lined with greaseproof or waxed paper once completely cold. These will keep for four to five days in an airtight box. Step One: Heat the oven to 180oC (Gas Mark 6). Place the cherries on a lined baking tray and sprinkle with caster sugar. Bake in the oven for 50-60 mins, until the cherries are shrivelled and caramelised. Set aside to cool. Meanwhile scatter the almonds on a baking tray and roast for 7-10 mins. Coarsely chop half the almonds, saving the remainder. Step Two: Melt the butter, brown sugar, golden syrup and Amaretto (if using) in a saucepan over a medium heat. Remove from the heat and stir in the flour and ground ginger. Line two large baking trays with baking paper. Pour half the mixture into the middle of one of the trays and, using a spatula, very gently spread the mixture out to form a rough rectangle about 2-3 mm thick, leaving a 5cm (2 in) border all around. Repeat with the second baking tray, then transfer both to the oven and cook for 5 mins. Step Three: Remove and scatter over the cherries and all the almonds, then return to the oven and cook for 12-15 mins or until the mixture is bubbling and golden. Set aside to cool for 4-5 mins. Starting from the outside and working inwards use a cookie cutter to cut out rounds. Place the Florentines on a lined baking tray and chill in the fridge for 10 mins. Step Four: Cover your work surface with foil (this makes cleaning up easier) and place two or three wire racks on top. Melt the chocolate in a bowl over a pan of simmering water. Remove the Florentines from the fridge and dip each one halfway into the melted chocolate, then place on a rack and leave for 15 mins. Chill in the fridge for 1 hour, or until the chocolate has set.